As the clock turns over and the New Year begins, we here at the Ubyssey sports section think it’s high time campus focused its attention on the group of women down at Doug Mitchell whose efforts could only be described in multisyllabic words like “invigorating,” “unyielding” or “oh-my-god-another-penalty-ing”. 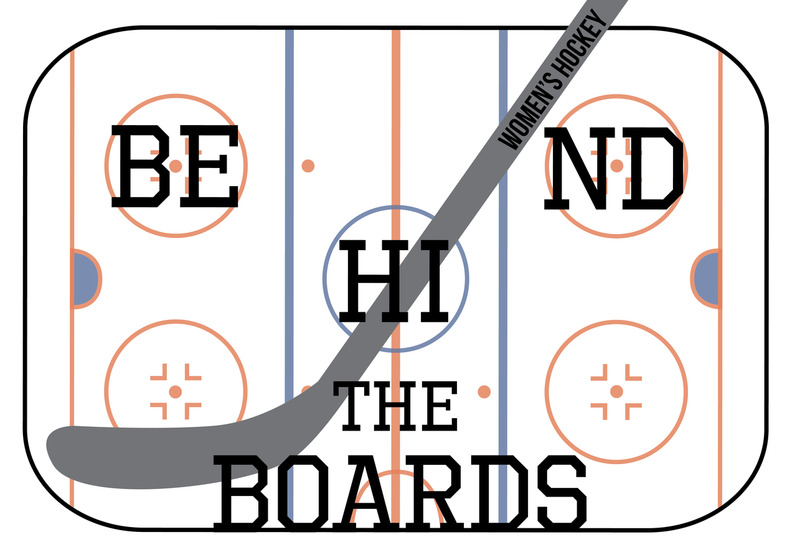 May we present: Behind the Boards — the women’s hockey edition. I, Pawan Minhas, am here to ensure that the good people of UBC know exactly how their women’s hockey team is performing, which I will spoil right now by saying this: really well. Whether you’re a Don Cherry or have never seen a “celly” in your life, I guarantee that this group of women will keep your heart racing — one infraction at a time. In case you missed it, here’s a crash course on the women’s hockey team. The early years of the team seem to have been lost to the annals of time, but there exists something of a natural partition in their history, where their performance transformed from a low-tier western team to one of the toughest squads to hit Doug Mitchell’s ice. The person responsible for crafting this high-octane team of university students? Head coach Graham Thomas. Hailing from Calgary, Thomas has led a storied career in both strategizing from the sideline and carving up the ice himself. The point of importance for our story, though, lies at the end of the 2011/12 season. The ’Birds had earned one victory in the entire previous year. As the new season began, Thomas — the former associate coach of Syracuse Orange, a Div. 1 American team — was tasked with whipping the UBC team into shape. With that solitary win in the previous season, though, he couldn’t do much worse. Coach Thomas knew what he was doing. The 2012/13 season saw the ’Birds emerge on top in 16 of their 28 games. Not satisfied with their stellar regular season, the women went on to skate circles around the league’s best and become the Canada West champions, with coach Thomas also bagging the league’s Coach of the Year title. If the early 2010s is too historic for you, the team has also had no lack of accolades the last few years, earning silver in the 2016 U Sports nationals and bronze the following year. In 2016, the team also became the first of either UBC hockey team to be first-ranked as the nation. But that’s enough of the history — let’s meet this year’s roster. For our forwards, the first big name that jumps out is forward Hannah Clayton-Carroll, whose 13 points place her in the league’s top 10 scorers. If you’re looking for accuracy, you’ll find forward Ashley McFadden, whose 16.1 shot percentage places her squarely amongst the best snipers in Canada West. If you are a fan who favours force over finesse, UBC’s 192 total penalty minutes show that the women will keep you more than entertained. Forward Ireland Perrott, rookie Ryland McKinnon and captain Celine Tardif hold places as some of the league’s most frequent penalty box residents. Finally, UBC is no slacker between the goalposts, as goalkeepers Tory Micklash and Amelia Boughn rank within the top five goalies the league. Micklash also dropped jaws during last weekend’s doubleheader against the Alberta Pandas, when she fended off over 50 shots from the first, second and fourth best point-scorers in the West — she earned a Canada West first star of the week title for her weekend. Her efforts contributed to a 2-0 UBC victory on Friday, the first time Alberta’s team suffered a shutout in two years. It’s clear the UBC women’s hockey team is impressive on a stats sheet and on the ice. While there remains room for improvement with wobbly passes and spotty communication showing up here and there, there doesn’t seem to be a player in the world that could stop them when the women are fresh and fired up.